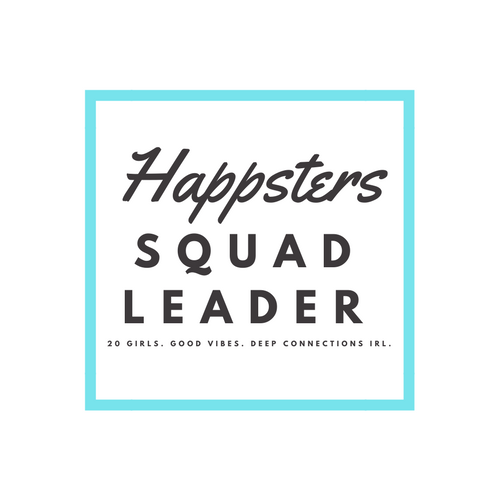 Hi Happsters! Hope you’re having a fabulous day. 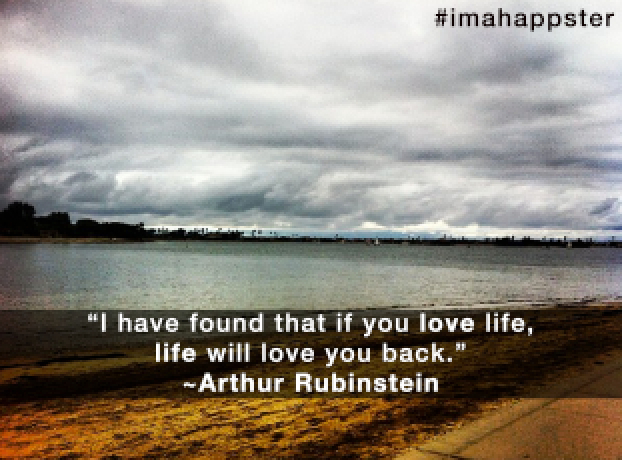 I love this quote by Arthur Rubinstein and wanted to share it with you: “I have found that if you love life, life will love you back.” – Arthur Rubinstein. 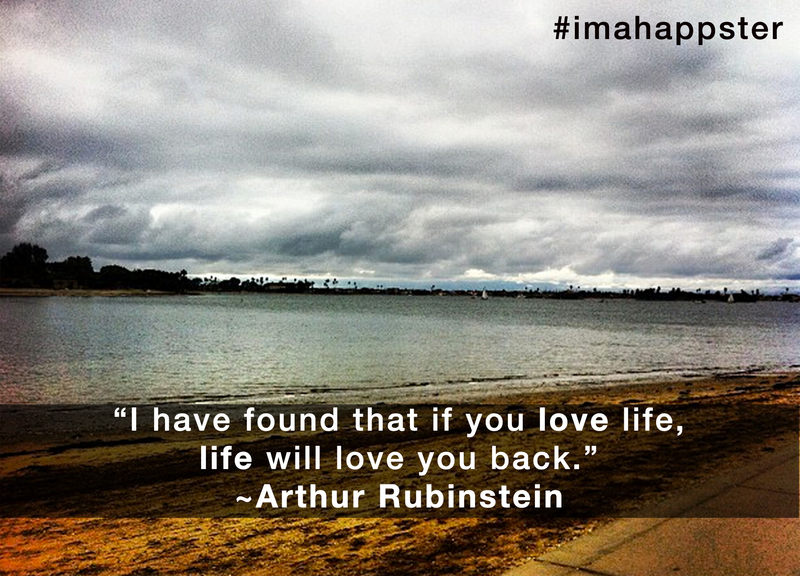 What’s your favorite happiness quote? 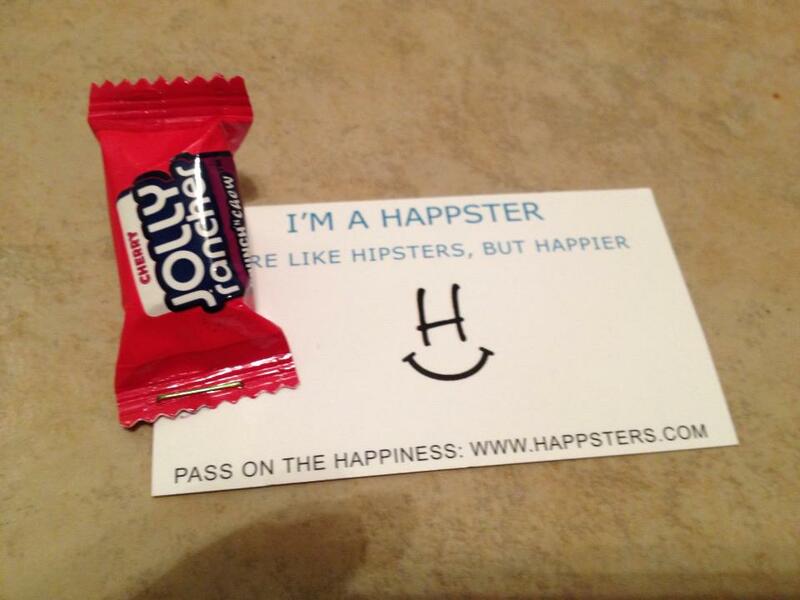 I also wanted to say how proud I am of all our Happsters who are spreading happiness in their neighborhoods! 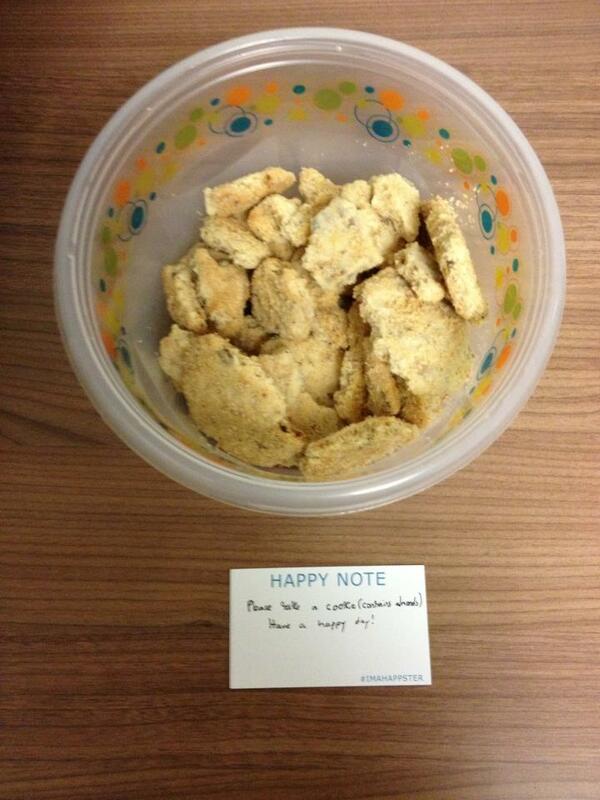 Below are some awesome photos that might spark ideas for how you can spread happiness in your area. 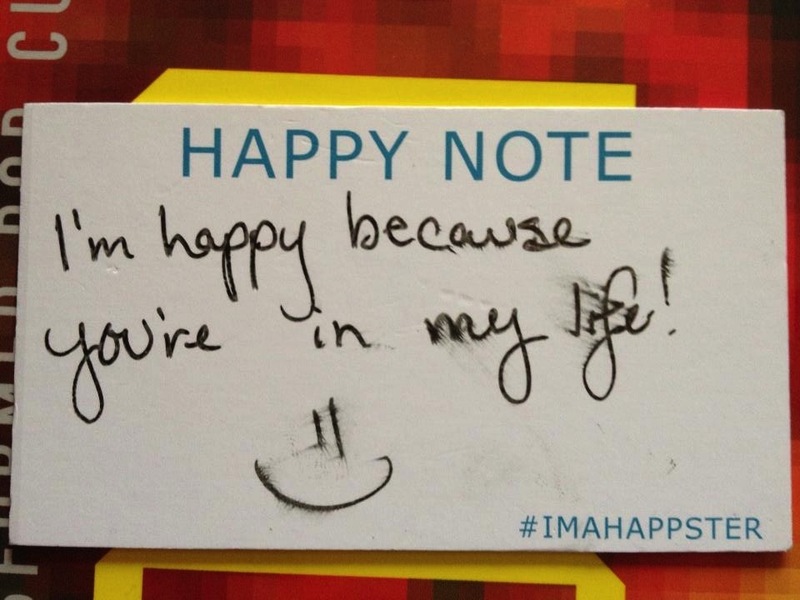 How have you spread happiness this week? I helped out and visited with a friend today who was going through a hard time. A few minutes of hugging and laughter to break up the sadness. Friendship is so important. So glad you are a positive force of nature rather than one who undermines or misses the good. Hopefully I have spread some happiness by my writing, sharing greetings on my lengthy walks, and being of service when I can! And thanks for “liking’ my poem. What a cool idea and message! I was wondering if your would be interest in a guest post on our website. About whatever you choose. You can check our mission – http://globalyogahub.wordpress.com/about/ and a recent guest post – http://globalyogahub.wordpress.com/2013/03/07/the-ocean-a-shrine-of-interconnection/. We would be really happy to have you! It’s great to spread happiness; it’s contagious! 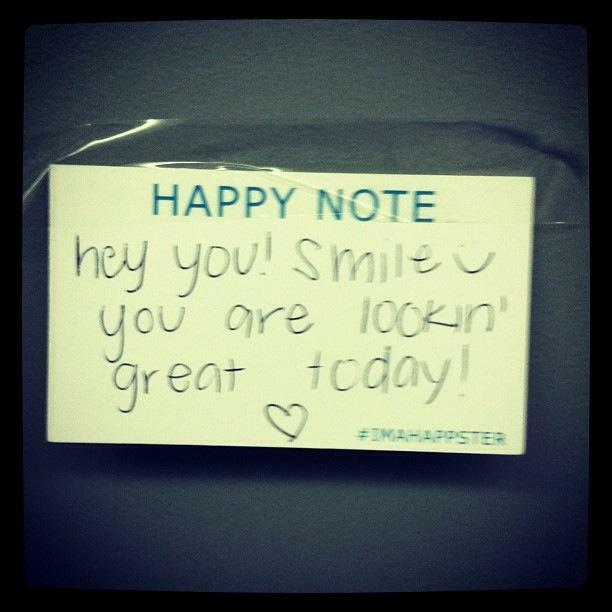 Love the happsters! Thank you for the dose of happiness today! What a great addition to the world. 🙂 More please. I find at the core of spreading happiness lies the aspect of being happy myself. 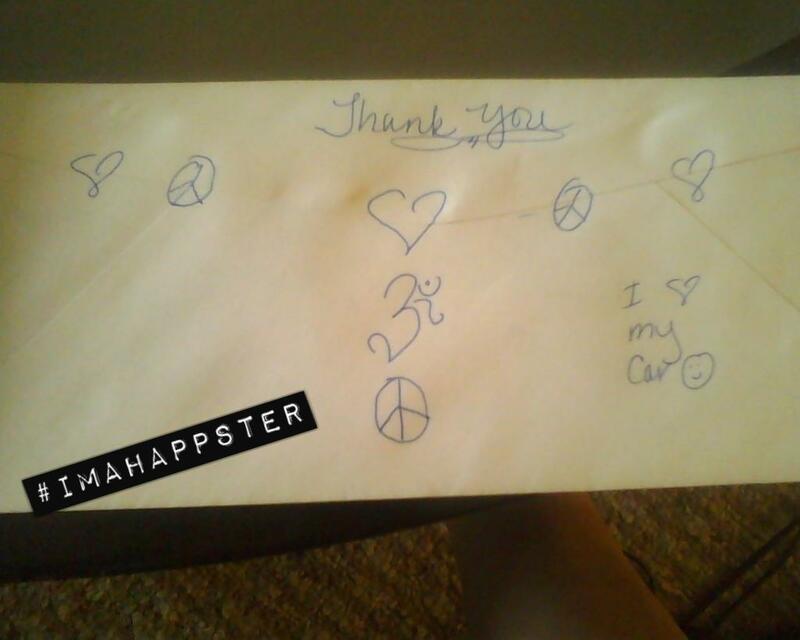 When I am happy, it somehow rubs off to others even if I have not done anything consciously. A smile, a shared joke, a pat of acknowledgement have been my tools to spread happiness. Awhile back I had mused on the aspect of Happiness and I give the link here. Do we really need to be conscious and remind ourselves of what we did to spread happiness? Could we shift the perspective to work on ourselves first? I just looked and don’t see an entry from you. Maybe some technical glitch? 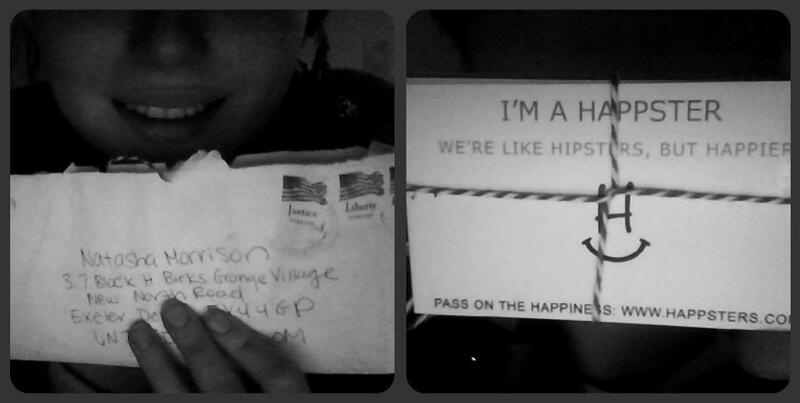 Please email me your mailing address at happsters@gmail.com so I can send them! Writing is one of my favorite things to do it is so inspirational to me and soothing. I upkeep a blog post and Ive seen everyone on here. Come to my blog post and experience a good story that is being told. True. I’ve found that the more I curse and blame life, the more bad things happen since that’s all I’m expecting. Now I’m trying to let the small nuisances pass by me without changing my entire outlook.